Senators who filed autism bills in the 14th Congress have been proclaimed winners by Comelec on May 15, 2010. Among the top 5 senators include Senator Jose “Jinggoy” Estrada and Senator Miriam Defensor-Santiago; who ranked 2nd and 3rd, respectively. 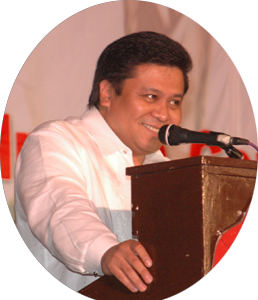 Last November 7, 2009, Senator Estrada has called on fellow legislators to approve his Senate Bill 618 or the Center for Autism Act. Dr. Alexis Reyes, President of the Philippine Society for Developmental and Behavioral Pediatrics, that there may be about 500,000 Filipinos with autism today, but only about two percent of them are given appropriate care. Initial diagnosis for autism costs about P7,000, with total cost of medical and educational needs amounting to more than P110,000 for the first year alone. Based on Estrada’s bill, the Center for Autism shall formulate and implement an integrated and comprehensive master plan on autism, create a diagnostic, therapeutic and rehabilitation clinic; provide vocational training programs for autistic adults; give free diagnosis and rehabilitation services to indigent autistics; train teachers, therapists, medical and health workers on the nature and management of autism; and, increase public awareness and concern on autism by spearheading advocacy programs. Senator Santiago is not immune from autism controversy. In the past, she has misused “autistic” during the hearing of Euro Generals and during the proliferation of infomercials of fellow senators/other candidates before the elections. After reminding the provisions on RA9442, her PR and Legal Advisers have sent letters of apologies to ASP office. Senator Santiago filled two bills for autism. Senate Bill 2940 or The Autism and Infant Autism and Infant and Toddler Immune System Disorders Act and Senate Bill 1946 or The Autism Prevention, Early Detection, Diagnosis and Treatment Act. Both bills are deferred to the Committee of Health and Demography awaiting second readings. We are hoping the good senator will push to have these bills signed to prove her sincerity. ASP is working hard towards the signing of these bills. Call and write to your senators for the quick passage of these bills. We will keep you posted for more news and updates. Be an Angel for Autism. The time is now! Donate to ASP by logging on to Autismo sa Pinas or write to autismphil@pldtdsl.net. For more information call us at 9266941/9298447. To know about other autism bills filed, click here.